Arts Centre Washington’s Youth Arts Exhibition has become a staple in our main Gallery’s calendar as its reputation has built over the last few years. Each year, we receive more and more high quality pieces of artwork which we have always endeavoured to display. This year, we are making a change which will enable us to keep the exhibition sustainable and of the highest quality, showcasing the talent of young people in Washington and all across the Sunderland area. 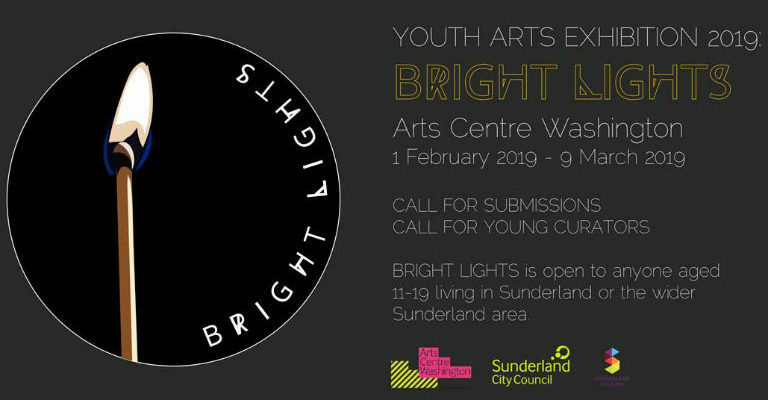 Youth Arts Exhibition: BRIGHT LIGHTS (1 Feb 2019 – 9 Mar 2019) will be an exhibition of artwork made by promising young artists aged 11-19, curated by a group of young people, supported by professionals.